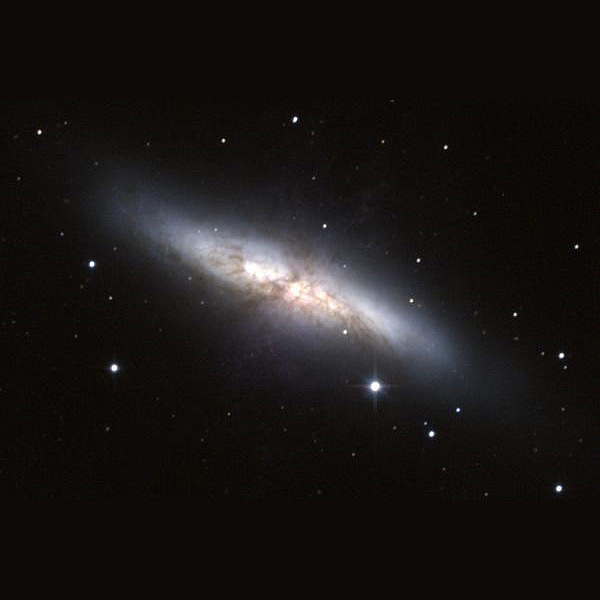 M82, at a distance of 11 million light years from Earth, is the nearest starburst galaxy. Massive stars are forming and expiring in M82 at a rate ten times higher than in our galaxy. 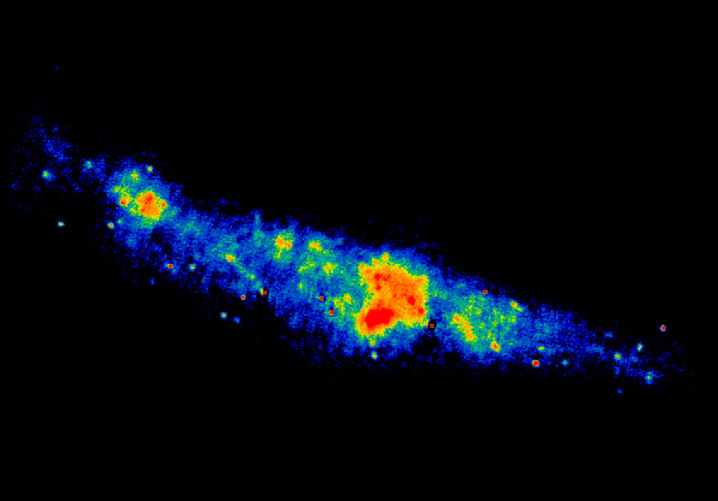 The bright spots in the center are supernova remnants and X-ray binaries. These are some of the brightest such objects known. 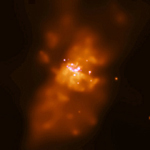 The luminosity of the X-ray binaries suggests that most contain a black hole. 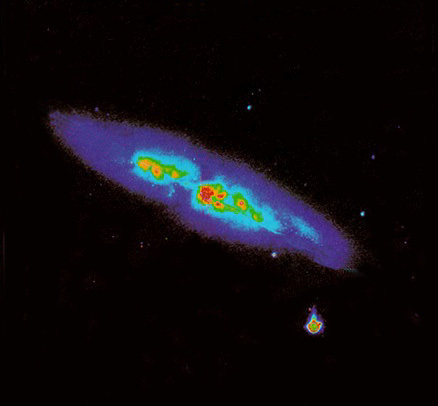 The diffuse X-ray light in the image extends over several thousand light years, and is caused by multimillion degree gas flowing out of M82. A close encounter with a large galaxy, M81, in the last 100 million years is thought to be the cause of the starburst activity. Coordinates (J2000) RA 09h 55m 50.70s | Dec +69° 40' 37"